Cute cake flags to add a quirky touch to your celebration. 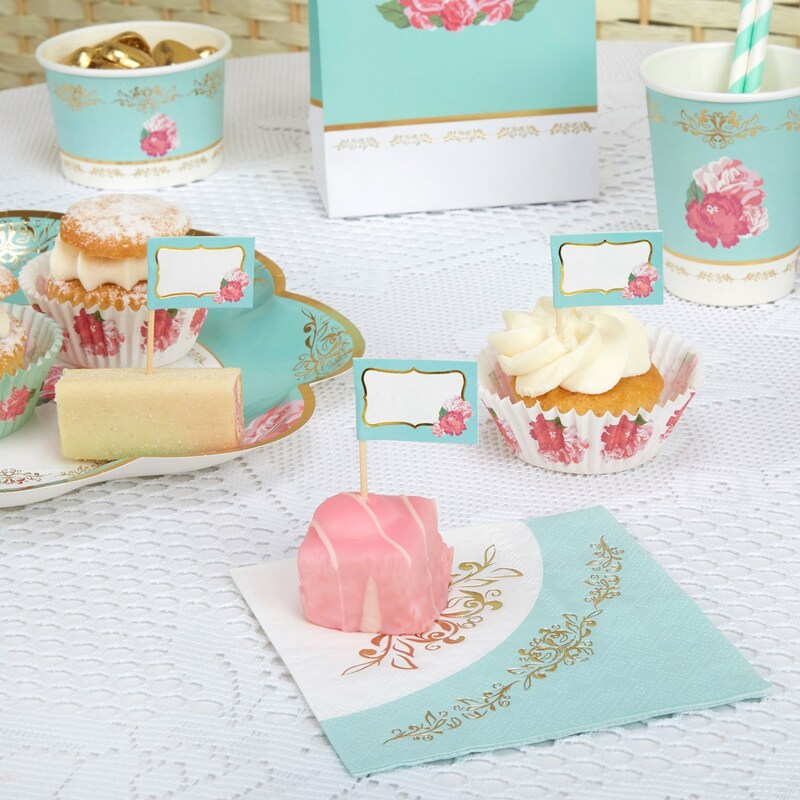 Suitable for use with cakes, sandwiches or canapes, these picks feature a retro-style design in an attractive palette of turquoise, pink and gold. With room to label your treats or personalise with a name, these cake flags are a simple way to add some extra fun to your celebration. Each pack contains 20 Cake Picks.